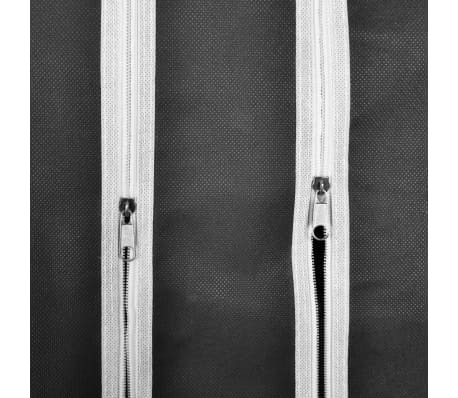 Iron tubes and plastic connectors included. 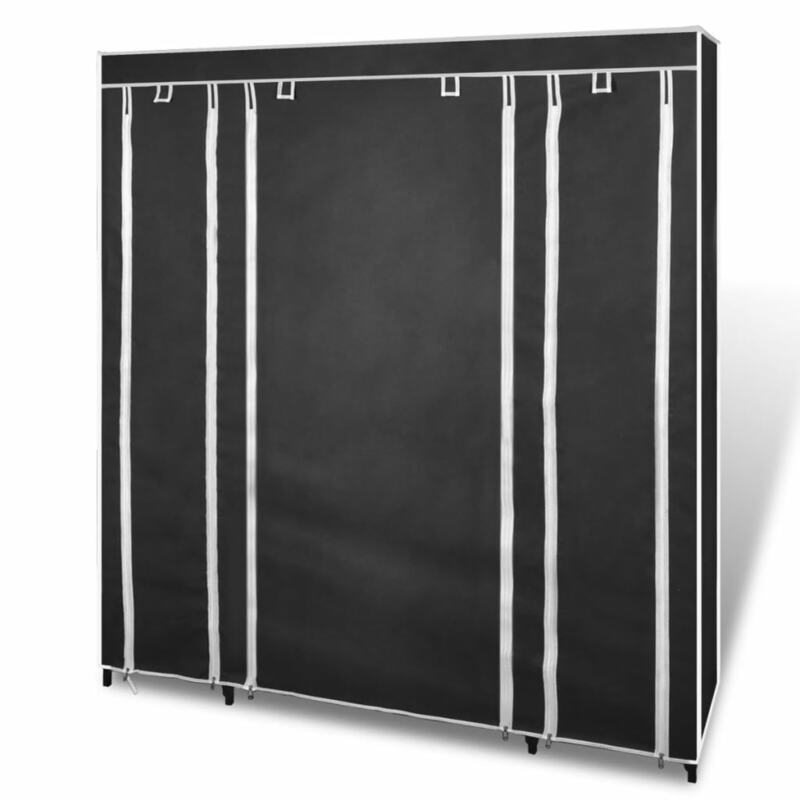 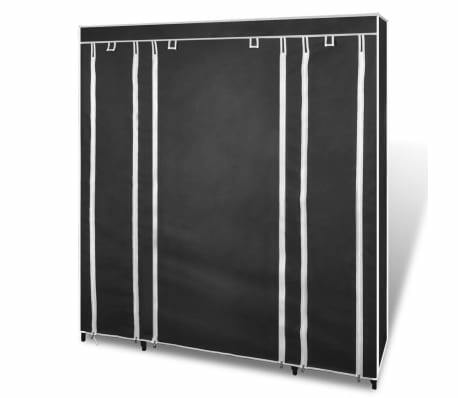 This portable cabinet is designed to protect your clothes and shoes from dust and dirt whether in the basement, children's room, bedroom, in the attic or while camping. 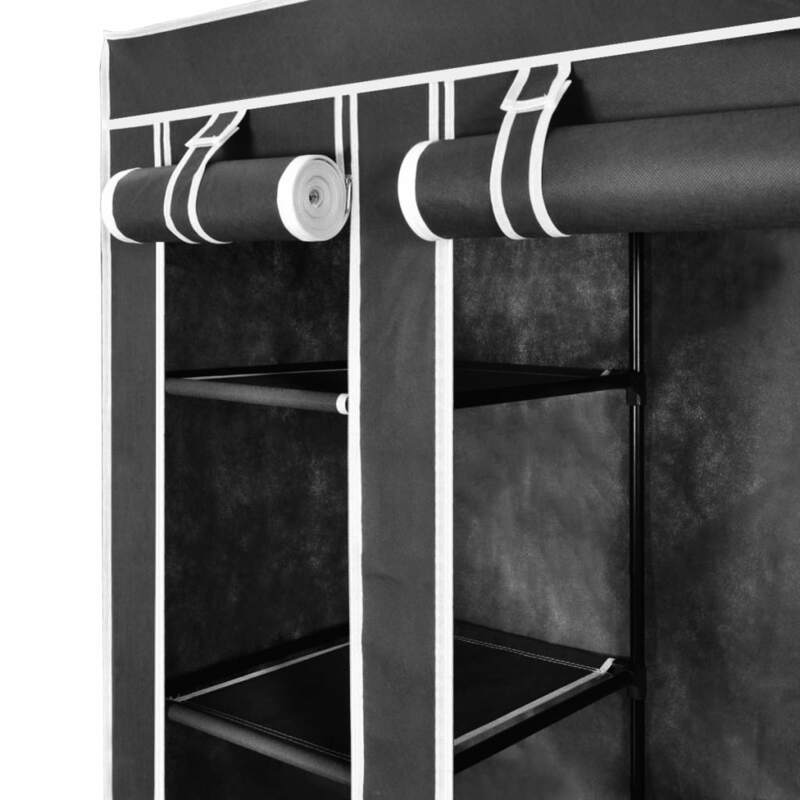 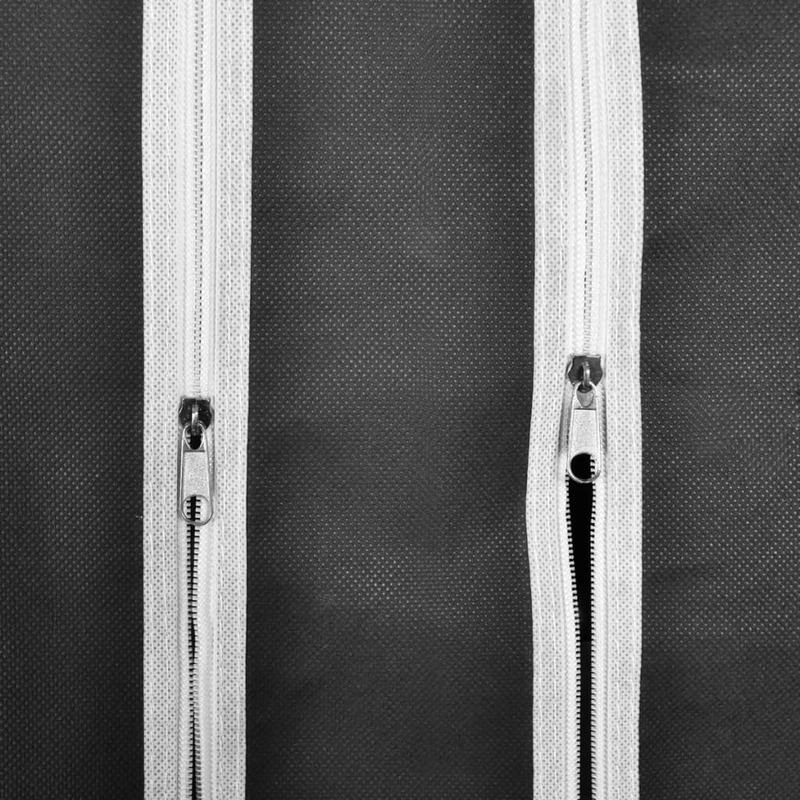 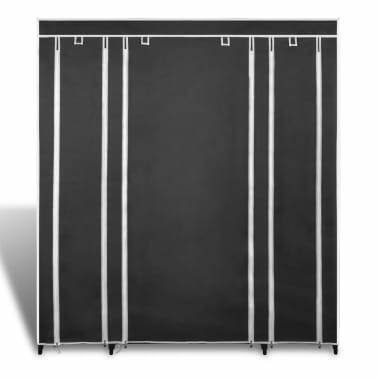 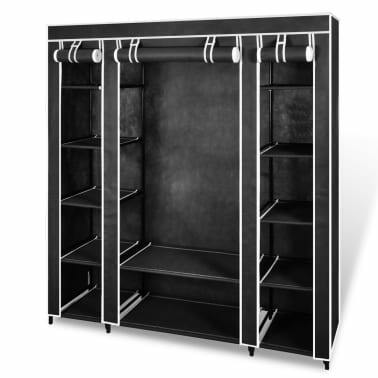 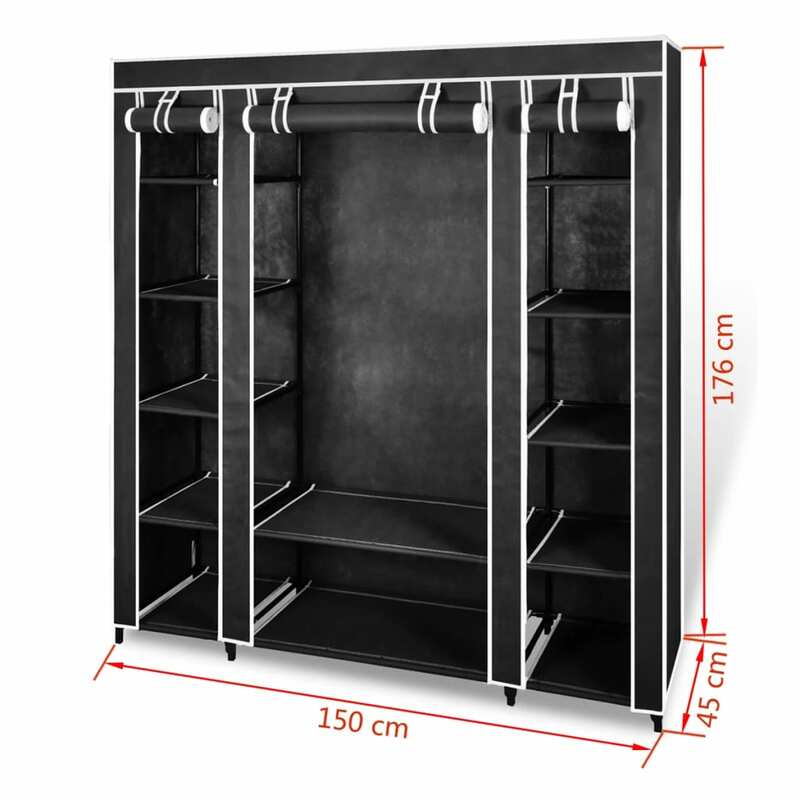 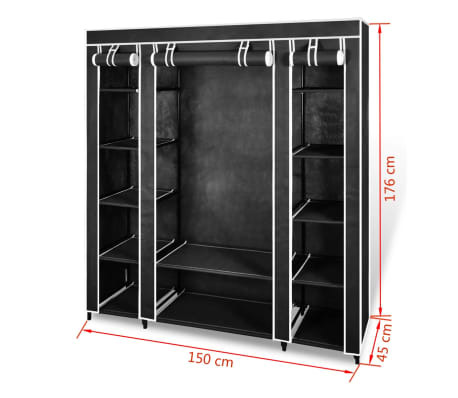 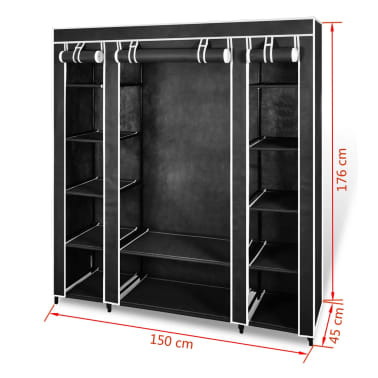 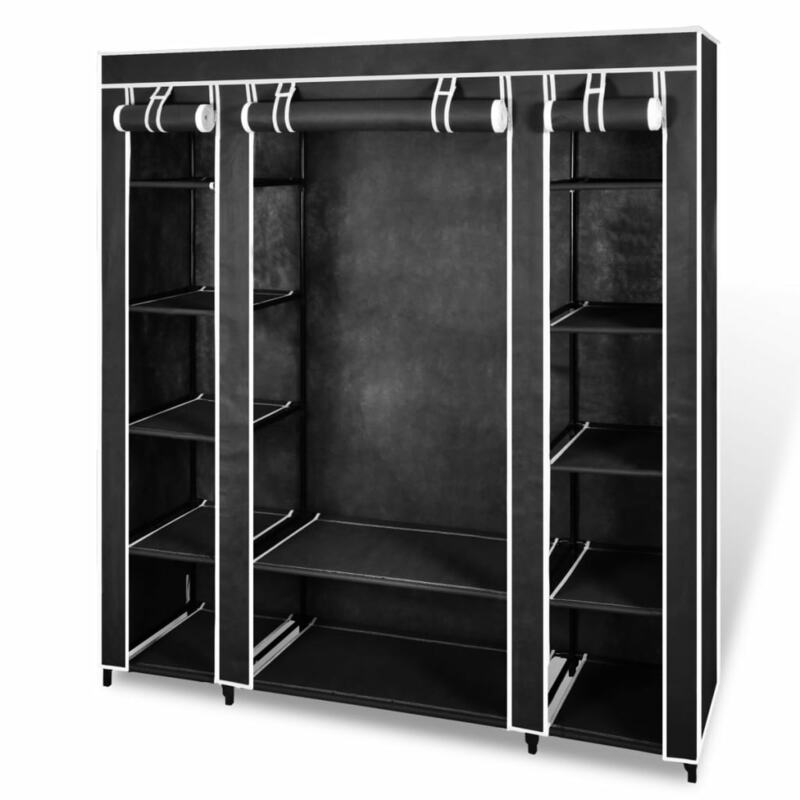 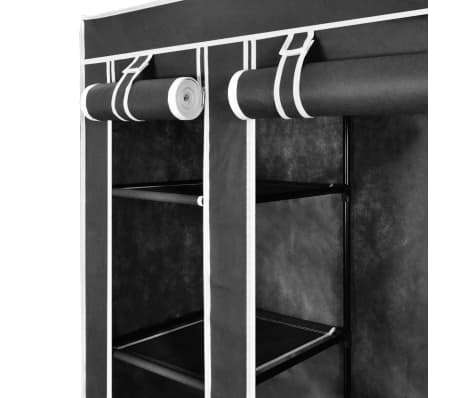 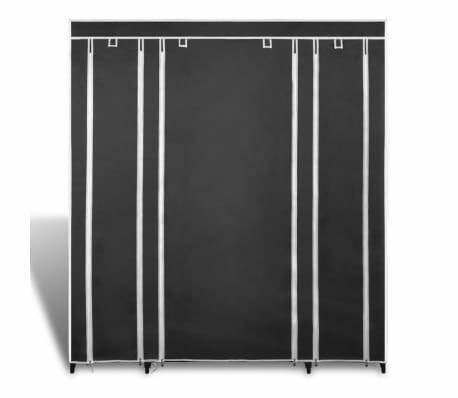 In this cabinet, several compartments and rods are available depending on various features, with the rolled up cover attached with hook and loop fasteners, and the zippers to open and close the cover easily. 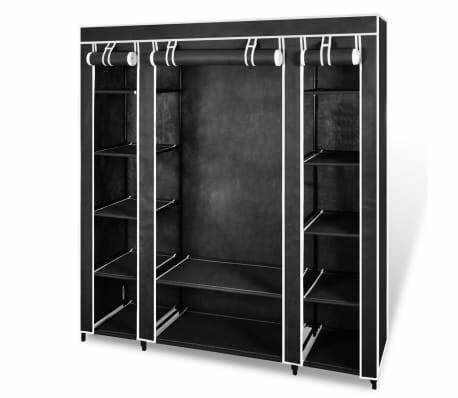 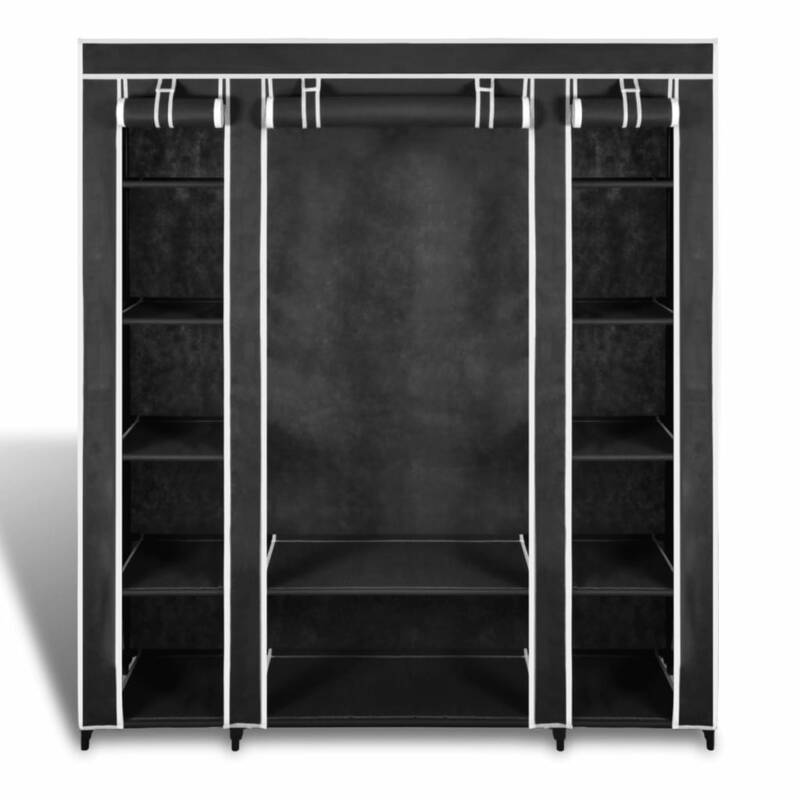 The collapsible closet is made of durable non-woven fabric and moisture-resistant iron tubes, making it timeproof, space-saving and easy to assemble. 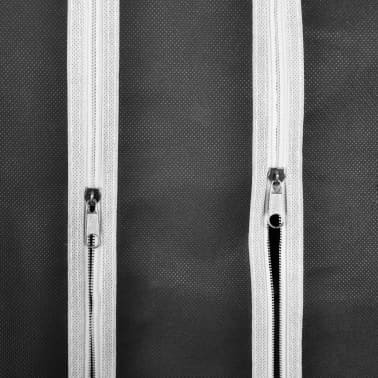 Please rotate the iron tube slowly into the connector, instead of pushing the iron pipe directly inwards into the joint while connecting the iron pipes and plastic fittings.